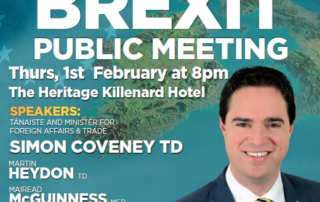 A new Brexit Loan Scheme will be of huge benefit to small and medium businesses, with up to 499 employees, in County Kildare according to Kildare South Fine Gael TD Martin Heydon. 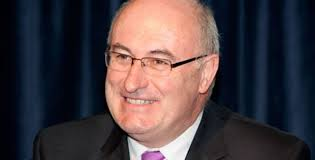 Chairman of Fine Gael’s Agricultural Affairs committee, Martin Heydon TD, has today (Wednesday) welcomed the announcement that Phil Hogan is to be the new European Commissioner for Agriculture and Rural Development. 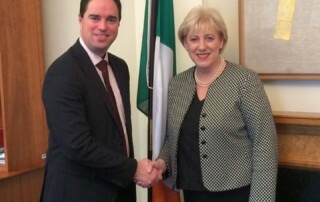 “This appointment is of huge importance to Ireland and is really welcome for our agriculture sector. I congratulate Phil Hogan on his achievement. Kildare South Fine Gael TD Martin Heydon has today (Wednesday) warmly welcomed the historic political agreement reached on the reform of the Common Agriculture Policy (CAP) in Brussels today. Led by Minister Simon Coveney, it represents the successful achievement of one of our key objectives for the Irish Presidency of the EU. 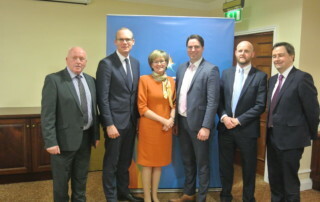 Fine Gael Kildare South TD, Martin Heydon, has today (Friday) welcomed the agreement reached by Minister for Agriculture, Simon Coveney TD, on the new Common Agricultural Policy (CAP) which represents another step forward in the process to return to Sugar Production in Ireland. 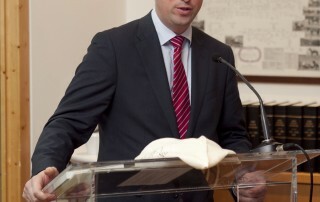 Fine Gael TD for Kildare, Martin Heydon, has today (Tuesday) welcomed the announcement by the Government that a referendum will be held to ratify the Fiscal Compact Treaty. 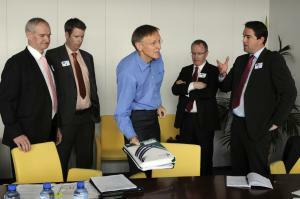 Fine Gael TD for Kildare South, Martin Heydon, travelled to Brussels last Friday to meet with EU Commissioner for the Environment Janez Potocnik in relation to the Habitats Directive. The TD was joined by colleagues Frank Feighan TD (Leitrim/Roscommon) and Paul Connaughton TD (Galway East) along with chairman of the Irish Peatlands Council, Conor Skehan.